The F-4 Phantom II was a remarkably good all-round workhorse of an airplane. It was a good fighter, bomber, interceptor, and reconnaissance aircraft. It wasn't the best in the world at any of these, but its high scores in all of them made it a real stand-out, loved by its pilots and feared by its enemies. Our F-4 Phantom II served in Vietnam. The Phantom's reputation as a powerful and deadly warhorse makes it one of our most popular "climb-aboard" aircraft. 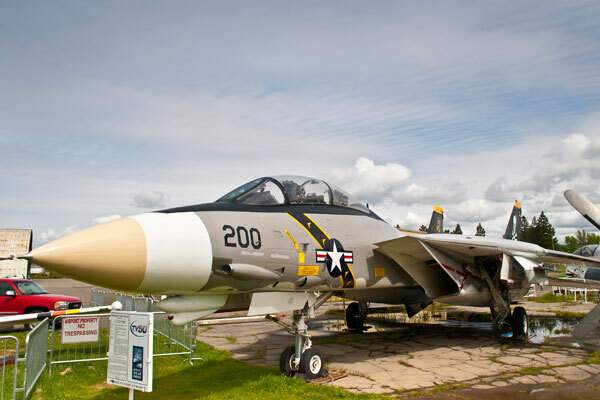 This aircraft, #64-823, carried the call sign "Lincoln One" during the famed "Operation Bolo" raid conceived and led by Colonel Robin Olds, commander of the 8th Tactical Fighter Wing out of Ubon. For a few years, his daughter Christina Olds was the PCAM Director of Museum Operations, and the photo above shows some authentic Robin Olds memorabilia Christina displayed at one of our air shows. The F-4C had no internal gun for dogfighting, and its only air-to-air weaponry was heat-seeking and radar-guided missiles. This put it at a disadvantage in some ways, but skilled pilots made up for that by capitalizing on the Phantom's speed and sheer power. In 2014 the Phantom received a load of freshly painted inert ordnance. These 750-pound bombs have extended fuses. 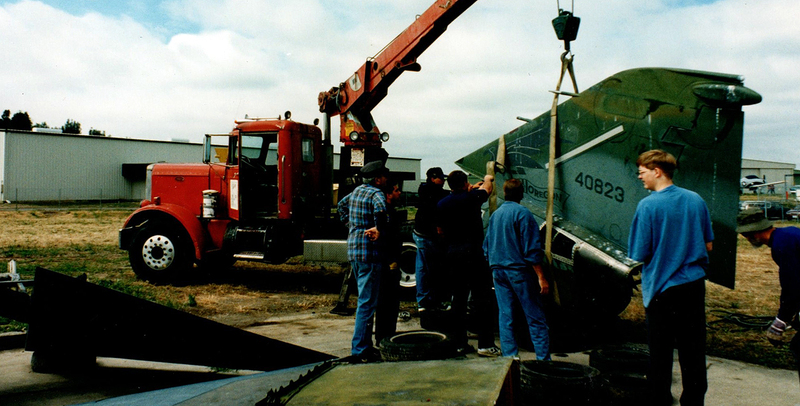 This photo, from 1994, shows parts of F-4C Phantom II #64-823 being unloaded at the Pacific Coast Air Museum after being trucked from Sierra Army Depot, on Highway 395, north of Reno. It was going to be used to train firefighters, and would have been intentionally torched. Fortunately, the Army Depot instead allowed PCAM to take it away. 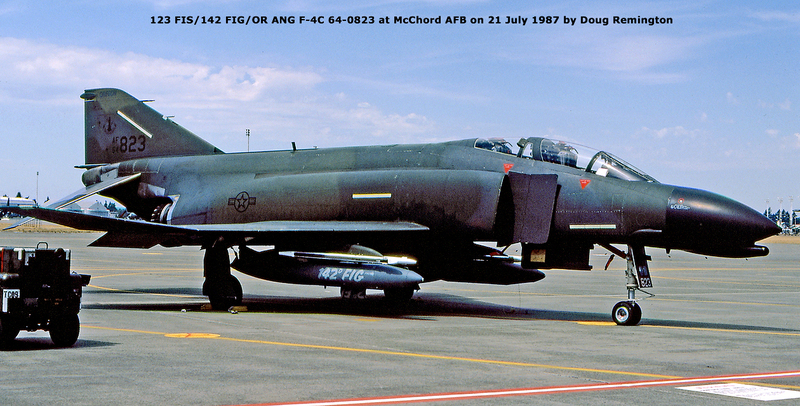 Here is the PCAM F-4C Phantom II on the ramp at McChord Air Force Base during the waning years of its military service, on July 21, 1987. 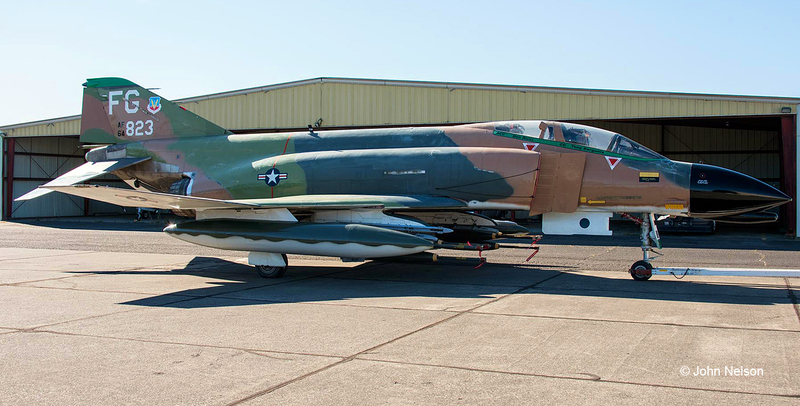 The only F-4 Phantoms currently in use by the US Military are radio controlled target drones. This is a photographic reproduction of the official after-action report on Operation Bolo, compiled by then Colonel Robin Olds, Commander of the 8th Tactical Fighter Wing out of Ubon, Thailand. 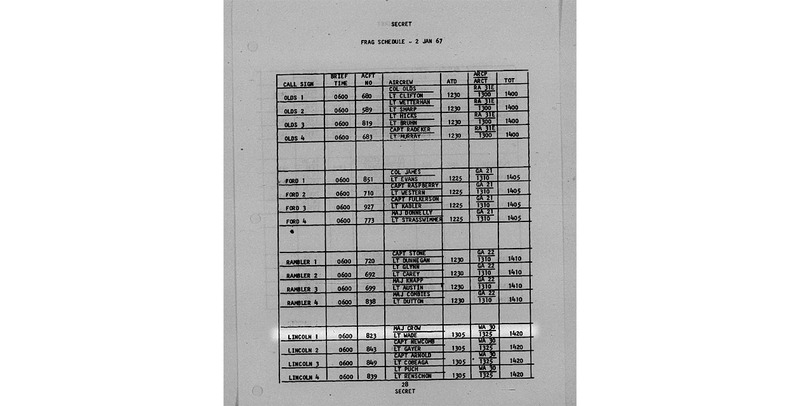 It clearly lists the PCAM F-4, #64-823, as having participated in the Bolo mission under the call sign "Lincoln One" and having been flown by a Major Crow and a Lieutenant Wade. The workhorse of Vietnam was the F-4 Phantom II. It was used in a number of combat roles. 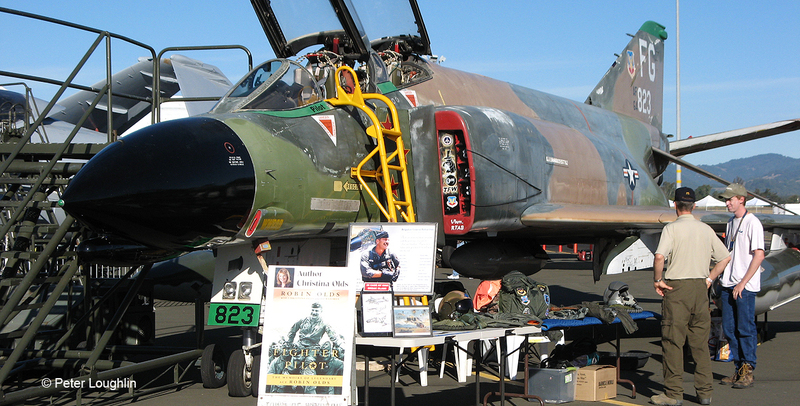 Very few F-4 squadrons remain. Only in reserve units, like the “Wild Weasels”, the F-4 will soon disappear from active service, being replaced by the more agile, faster, and electronically superior F-16s and F/A-18s. 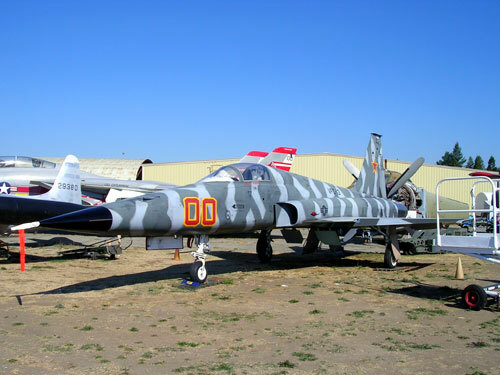 Pacific Coast Air Museum´s F-4 was an Air Force jet. After its service life was over, the jet was assigned to the Sierra Army Depot, on Highway 395, north of Reno. The jet was going to be used as a “crash and burn” victim, being torched for fire fighters to practice putting out aircraft fires. The Army never put one match to it. The aircraft sat for several years, along with a twin F-4, way out in the middle of nowhere on the base. Army officials finally decided to get rid of the aircraft and looked for places to dispose of them. 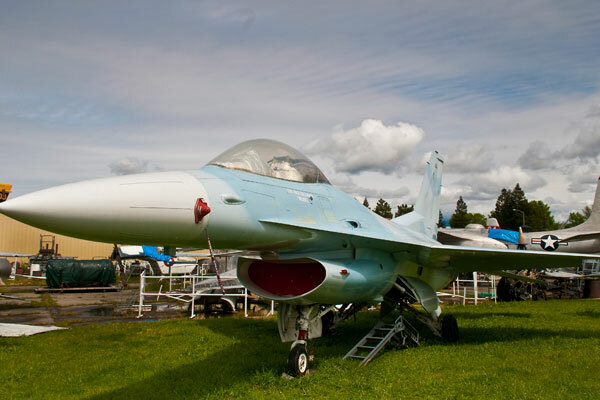 As fate would have it, two museums got word of the aircraft and applied for acquisition. 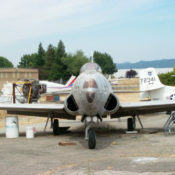 Pacific Coast Air Museum was one of the museums selected to receive one of the aircraft. 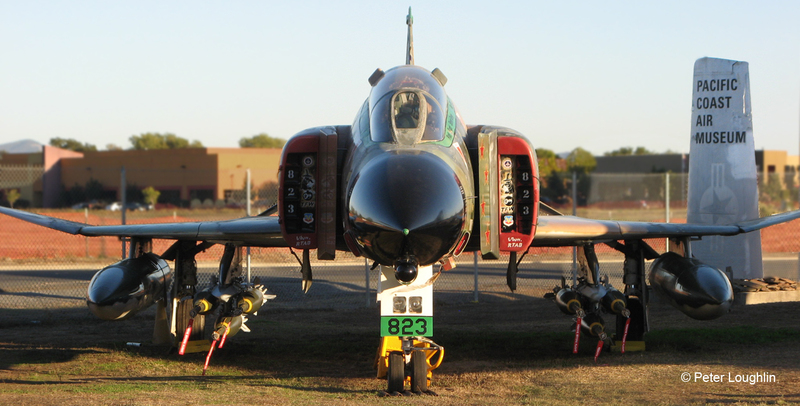 In 1994, crews of Pacific Coast Air Museum members spent many hours on the Army base, in desolate conditions, taking the F-4 apart. It was very hard as the aircraft was built to take a lot of abuse, and was not easy to dismantle. 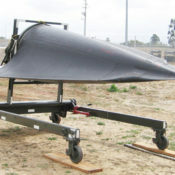 Slowly, pieces began to arrive, and other crews, as well as the disassembly crews, put it back together, for a permanent home at Sonoma county. 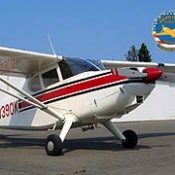 The history of the aircraft is being researched. Two: Pilot in front, and a “Guy In Back” or “GIB”, officially called the Weapon System Officer or WSO, shortened to “wizzo.” Also called “backseater”. 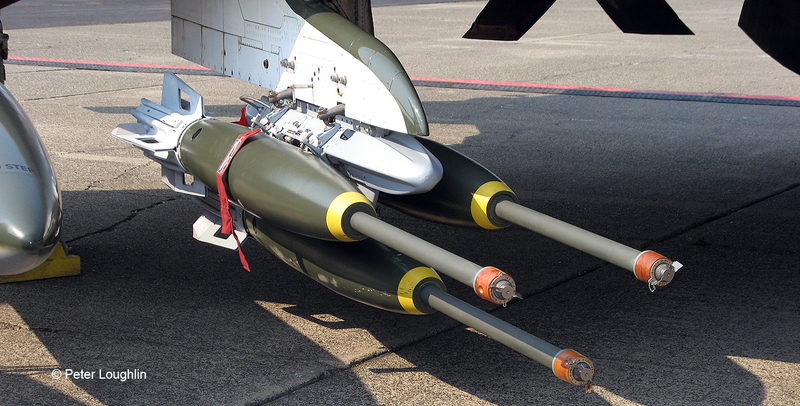 Sparrow Missiles, plus four AIM-9 Sidewinders. 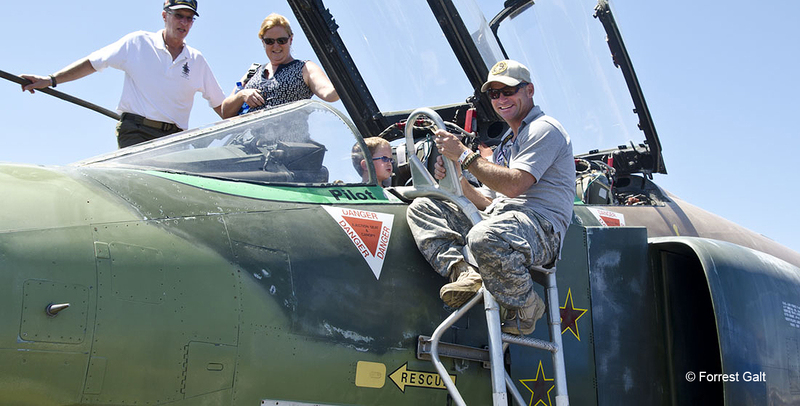 In addition, up to 7257 kg (16,000 lbs) of assorted weapons.